Our french (or french speaking) users will be pleased to learn that the french support is now provided by the GMSTemple.com french community. GMS Temple community has been active for years now, for playing and botting (D2, D3, and to a lesser extent, Hearthstone, Path of exile, WoW). They still have an ongoing D3 opensource bot project (autoIT based), check it out ! Many french people were lacking a real french community for support. On their D3 Ros-Bot section, you will find everything in french, pure french, 100% french. 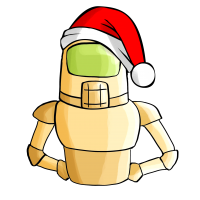 Guides will still be translated to french here, download and custom scripts stay here on the ros-bot.com website, but the french localized section will be read-only and will redirect users to their website. Set your Skills as you like, this Custom Script supports every vailable build. The bot uses only available skills. 0y on anything else ! Sweeping Wind is set to 150 cost, its intended.